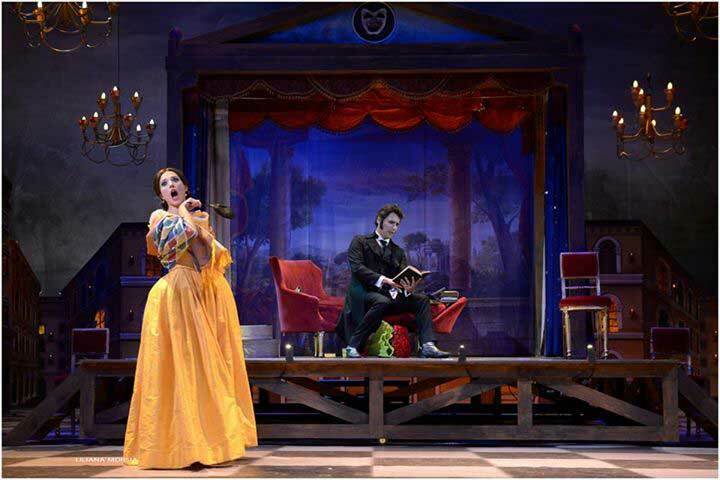 "Buenos Aires Lírica presentó una meritoria versión de Don Pasquale, una de las óperas más atractivas de Gaetano Donizetti" ... "El público, entusiasmado, premio el esfuerzo realizado por toda la compañía, con calurosos aplausos" - Andrés Hine (Asociación de Criticos Musicales de la Argentina, June 14, 2015). 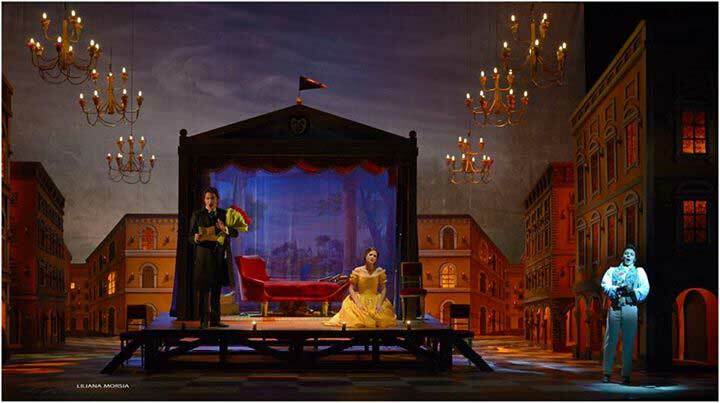 Brazilian producer André Heller-Lopes decided to set the work in the style of commedia dell’arte, with a town square theatre – the same attractive and Italianate setting [by Daniela Taiana] serving throughout, except for a change of lighting from day to night. 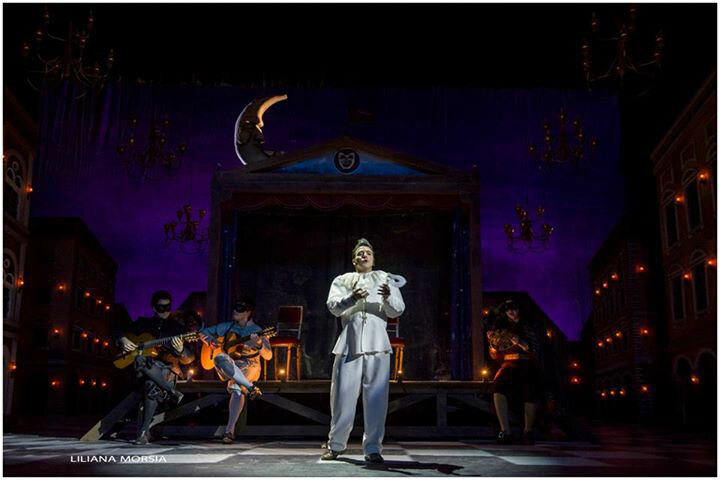 Hernán Iturralde made for an outstanding Pasquale, vocally strong across the range and convincing in his acting. 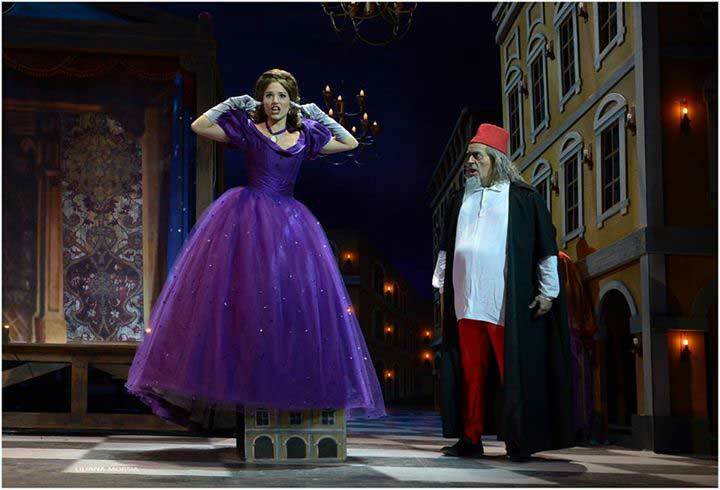 Oriana Favaro is a fine young lyric soprano who also brought excellent acting skills as Norina. 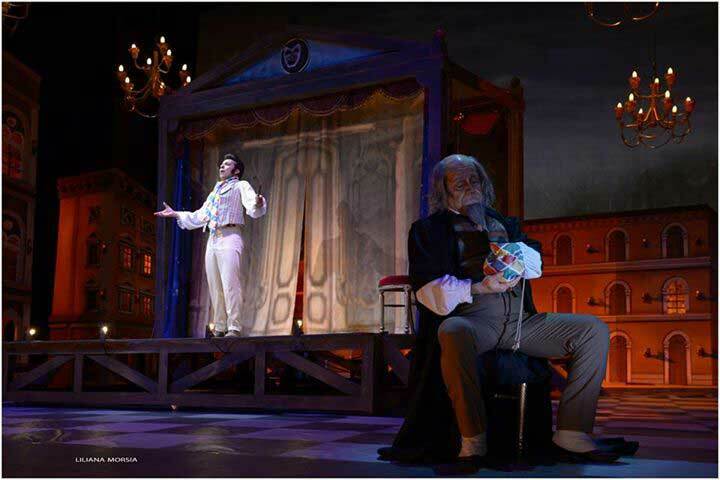 Santiago Ballerini was an earnest Ernesto reaching his peak in the third act "Com’ é gentil". Brazilian baritone Homero Velho, making his local debut, acted well but vocally was the weakest of the four with an uneven line, particularly in the opening act. Rounding off the cast, Uruguayan bass Enzo Romano played his small part of the notary with appropriate style. Juan Casasbellas who normally fronts the chorus was on this occasion in front of the orchestra, providing good balance and tempi. Rounding off the production, the beautiful costumes from Sofía Di Nunzio and well conceived lighting from Gonzalo Córdova. 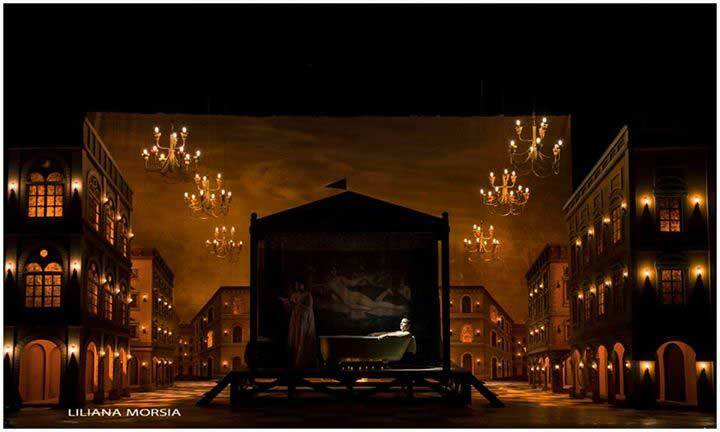 To be fair, there were quality stage designs by Daniela Taiana, with well-executed lateral “buildings” that looked like Venice, fine gowns for Norina by Sofía Di Nunzio and resourceful lighting by Gonzalo Córdova. 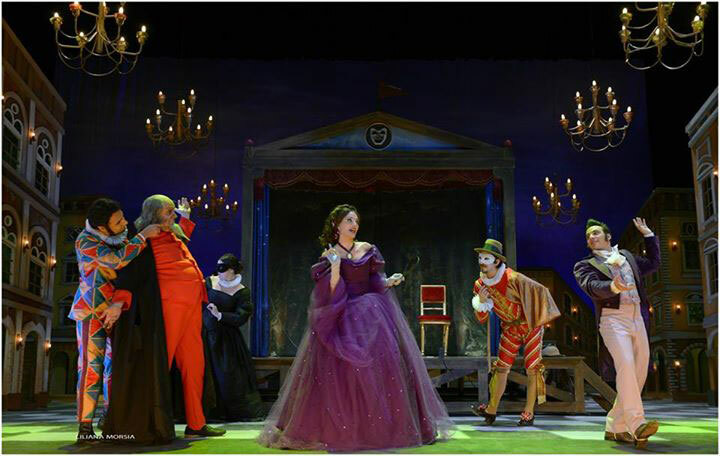 The problem was the producer’s idea of giving us a commedia dell’arte type of Don Pasquale, since they stem from completely different traditions. 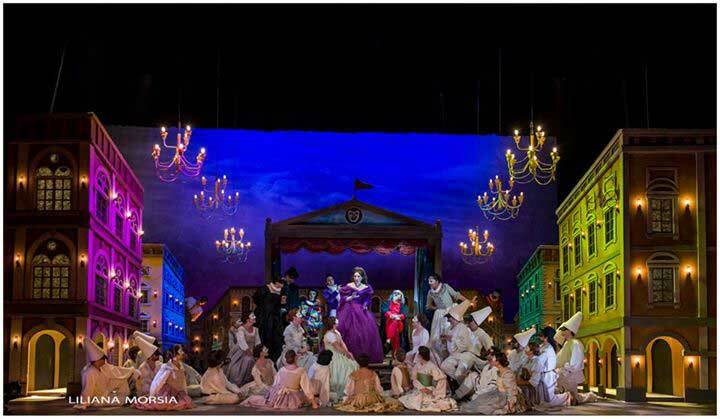 Even accepting it, it could have been done much better; the added mute characters merely interfered and cluttered the space, even in the Overture that only needs to be heard. Coro de Buenos Aires Lirica y Orquesta.